Floor 31 is full of switches and arrows. 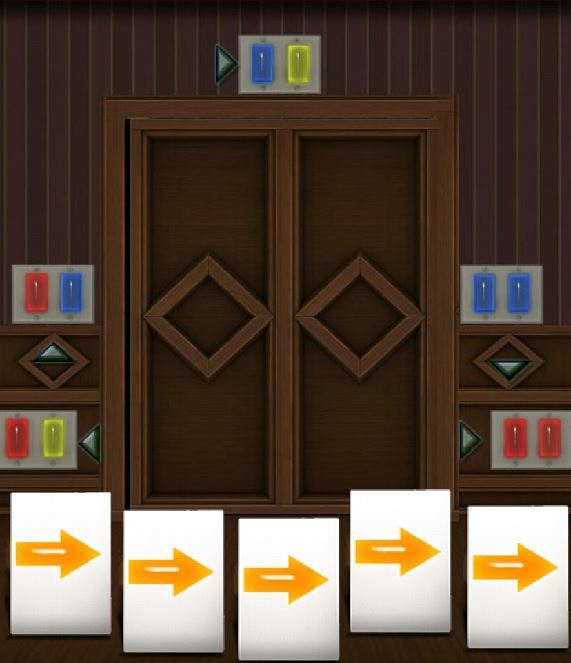 Your objective is to match the combination colors of each switch with the arrow color at the bottom. The first arrow is the red/yellow switch. Red + yellow = orange. So make the first arrow orange. The second arrow is the red/blue switch. Red + blue = purple. So make the second arrow purple. Blue + yellow = green. Make the 3rd arrow green. Blue + blue = blue. 4th arrow must be blue. Red + red = red. 5th arrow must be red. Floor 32 = the cold blue room. There are 4 bars hanging from the ceiling. You need to get them to go down the correct number of steps. Bar 4: do not move. Click the number on the side to make that bar go down. If you make a mistake, you need to go down 4 times and it will go up again. Floor 33 is the brown stripes on the white door floor. 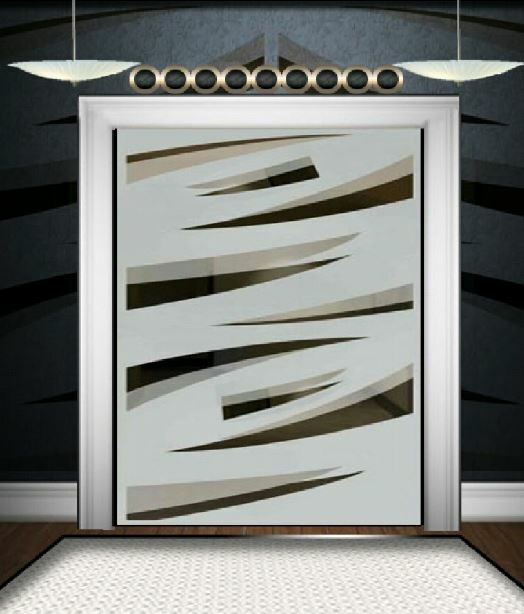 Swipe each stripe from top to bottom. Start the swipe from the thick end. If you do it right, the white circles at the top will light up. Floor 34 is the maths on the door floor. Pick up the blue cloth and wipe the middle top area. It will show the number 24. Left: 4 + 4x5 = 24. Right: 5x6 - 6 = 24. 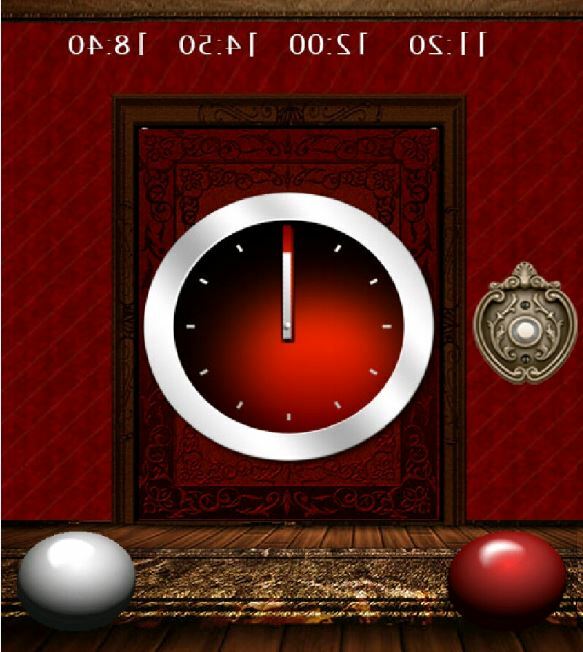 Floor 35 is the red clock and reversed time floor. Now make these times by tapping the white- and red balls. Once you made the time, tap the button on the right. The light on the button goes green if you are correct. Floor 36 is full of signs and spinning buttons. Drag each spinning button to its sign on the sides. 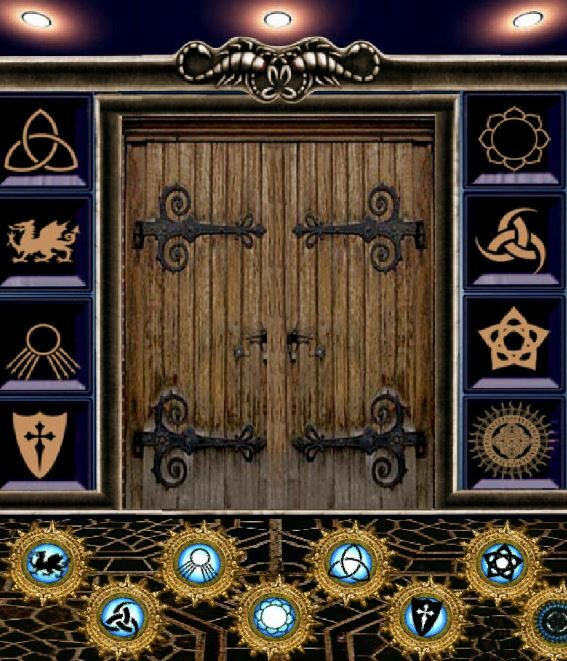 If all 8 are in and correct, the door will open. Floor 37 is the megaphone and color cube level. 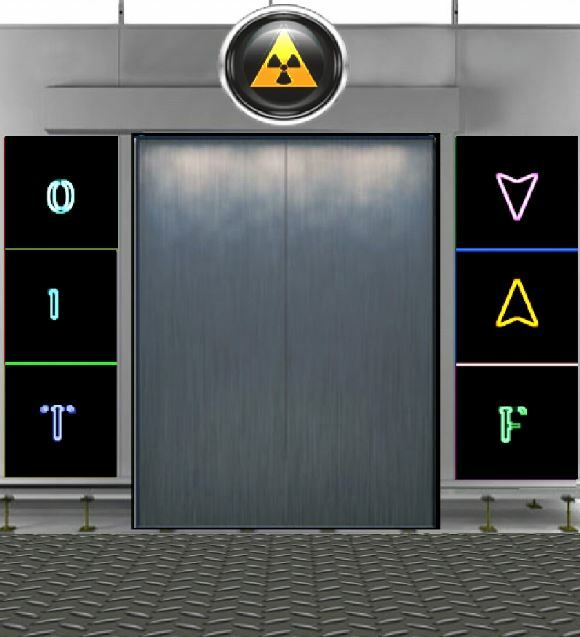 Floor 38 has the radiation sign and some symbols. Press the radiation button and notice the colors and weather the symbol is true or false. 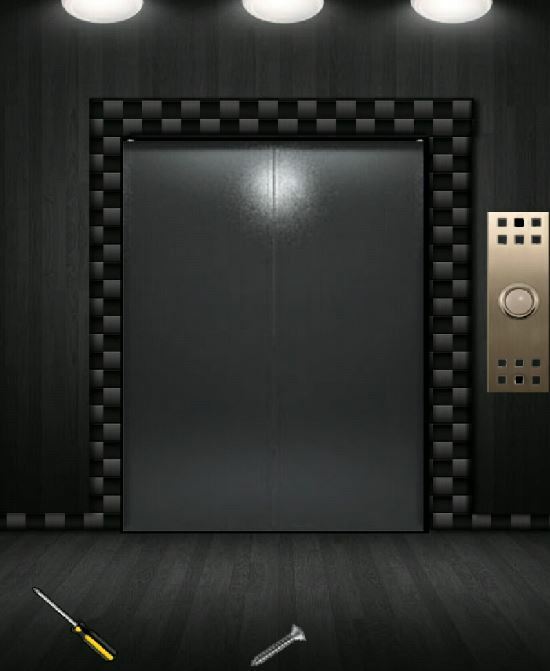 Now, slide the door left then right and flip the switches according to the above colors. Top left = blue. Blue = false so switch will be off. Orange = true, so flip the switch on. Floor 39 is the screwdriver and screw floor. Pick up the screw and screwdriver. Insert a screw in the top part of the metal where the button is. Insert a screw in the lower part of the metal. Use the screwdriver on both screws. If correct, the button will start flashing red/green. Press the flashing button to open the door. 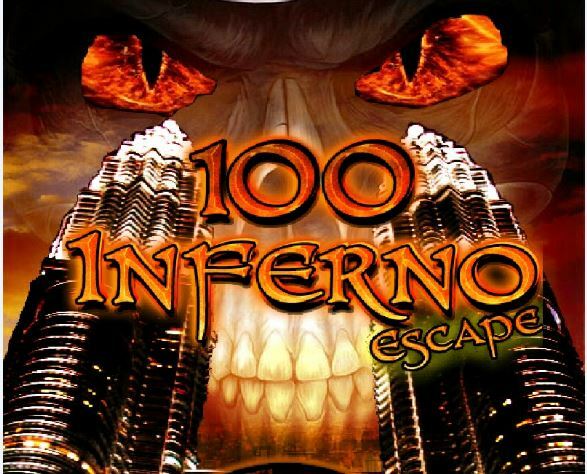 Floor 40 is the spider level! 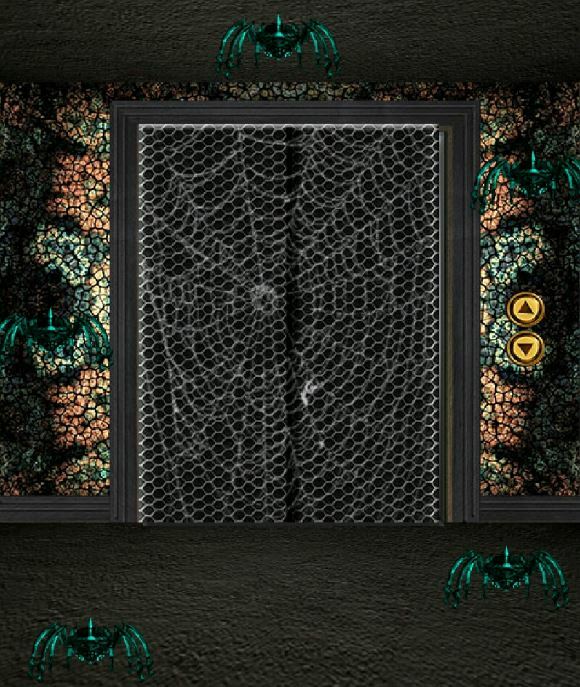 You need to tap all 5 spiders in very quick succession. 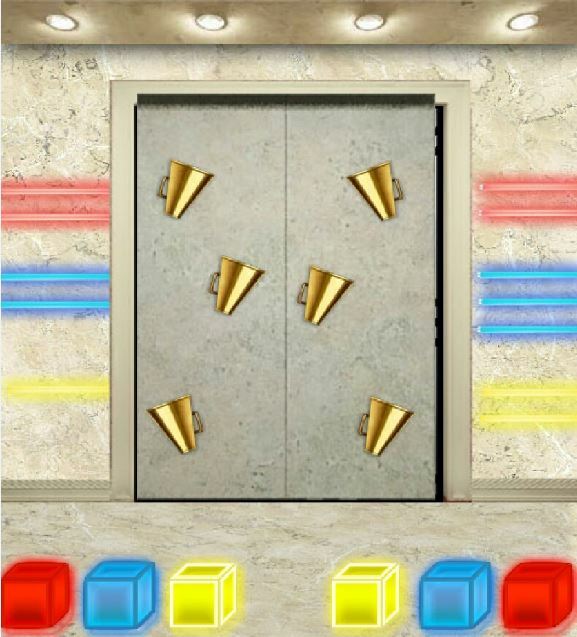 Hint: have 2 hands ready and tap! 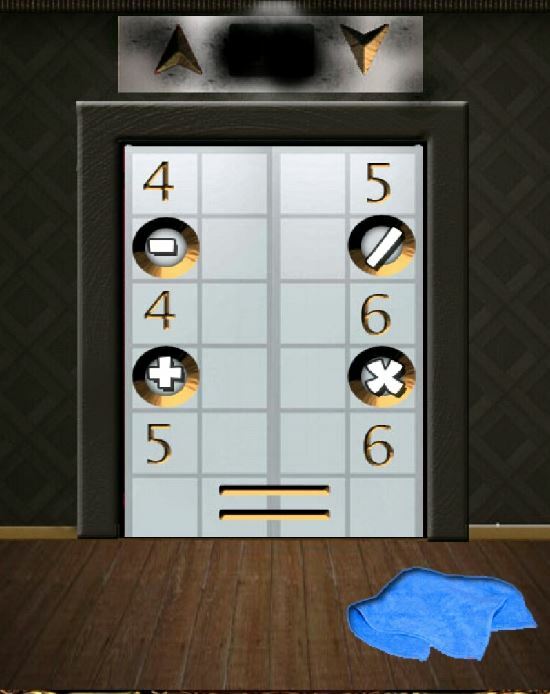 What I did: Tap the 2 on the left and the 2 on the right simultaneously using 2 fingers of each hand. Then tap the top spider. Well done! 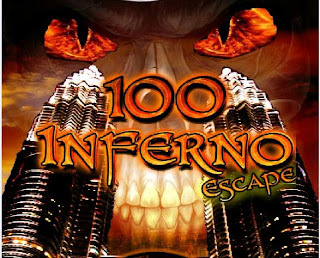 You have completed the first 40 floors of 100 Inferno Escape. Hope you are still enjoying my walkthrough.